We did a little bit of math yesterday and found that there is barley 1/85th of one ounce of gold produced each year for each inhabitant of the planet. This is a “flow” number as it compares to newly available gold to the population. But what about the “stock” of gold compared to the population? The estimates are that globally 2,600-2,700 tons of gold per year are produced, this is the “flow.” The best estimates that I’ve seen on “stock” are all in the neighborhood of 170,000 tons unless you include those in “La La” land (Karen Hudes et al) who believe that another 170,000 tons is sitting somewhere in Hawaii that will be used to “make the world right” and save humanity from global poverty…Kumbayah. “Stock” is the total of all gold mined throughout history and could be “available” for trade or delivery. If we look at 170,000 tons and divide this amount by a total population of 7 billion (+1 as we had a baby grandson Braydon last night, 7lbs 9 oz.!) we can do the math to arrive at a total. I had to use a calculator for this one and came up with just under .72 ounces per person; I will round it up to 3/4 of an ounce of gold “per capita.” Only 3 quarters of one ounce per person on the planet has been mined since the beginning of time? This unbelievably is the case; there is only 3/4’s of an ounce of gold for each person on the planet when looked at from a “stock” perspective. I know this number seems low but it is what it is, now let’s look at this from another perspective. Men and women wear wedding rings, women and some men wear earrings or necklaces, some people have purchased and are storing gold, central banks have (“had” if you are in the West) and there is gold in your car, your cellphone, TV etc. in miniscule amounts. From the standpoint of “rings,” a woman’s ring may have .10-.20 of an ounce of gold while men with thicker bands may have a little more at +-.25 of an ounce. Some people wear gold necklaces and it is not uncommon to see 1/4 or even 1/2 ounce of gold around someone’s neck (unless they are Mr. T in which case is 5-10 ounces would be the norm). I wanted to include the above paragraph because many of us “wear” 1/4 to 1/2 ounce every single day and never even think about it. In other words, you wear “your per capita share” every day without really even knowing it. You don’t pay attention to it because it just isn’t that important in the scheme of things and from a “dollar” standpoint it just isn’t a big deal right? Switching gears, I’d like to try to add a little perspective to this, one that would have been fully understood by the average 3rd grader 100 years ago but one that is a foreign language today…at least in the West. The “stock” 100 years ago was what everything “financial” was based on or collateralized by. Gold was the collateral for currencies and it was also in many cases the collateral or “medium” that bonds or “debt” was based on. Gold was the foundation or the bedrock to the entire system. This is not so today (I believe that it will once again) as “debt” itself is the foundation for everything from currency to debt. Today, we have “debt supporting debt” which was OK until there became “too much.” This is easily visualized as an alcoholic holding up another alcoholic which works…until there is too much alcohol consumed. I have argued that the edifice is too high and the foundation itself too weak to sustain what has been built financially and that the inverted debt pyramid is now larger (far larger) than the central banks themselves. I have quoted the phrase many times that “everything will be worth nothing” meaning that once “debt” itself is broken…then everything that debt was sustaining will collapse in value. This is not rocket science but merely common sense and directly the equivalent of two drunks holding each other up. You can either believe that the debt will collapse (as it always has throughout history) or you don’t, it’s up to you as a reader to figure this out. To me, the collapse of debt at a time when there is more debt per capita, per collateral, per GDP, per anything and everything throughout all of history is a no brainer given…and one where history is on my side. Once you make this leap, then you must ask yourself “what is left?” What is left once the entire financial debt based system has collapsed? “Stuff.” “Stuff” as in houses, buildings, cars, land, factories etc…oh, and the people on the planet. Before getting to my point, please ask yourself this very simple set of questions. Have you ever thought to yourself “the government is broke?” Do you remember your parents saying 20 or 30 years ago that “they (the government) can’t keep spending like this?” Do you sense that something is wrong but “life” hasn’t really seemed to change that much from yesterday so it can’t be “that wrong?” Have you ever had a lucid moment where you thought to yourself that “we could never have gotten as bankrupt socially, morally, ethically and financially as we are” only to realize that tomorrow is another day and just that much further down the rabbit hole? OK, so my point? I asked you “what is left?” and the answer (in my opinion) is “stuff.” “Stuff” doesn’t just go away, it may depreciate or degrade over time but no matter what happens. It will remain. The banks can close, the stock market can go on an extended holiday, the bond markets can go “no bid” and evaporate but the Sun will rise tomorrow… and you will wake up with an empty stomach looking for something to eat. Your “stuff” will still be there also. Part of your stuff may include your wedding ring, jewelry or even gold and silver coins or bars. You see, “stuff” can’t “go out of business. When all is said and done, gold and silver will be part of your stuff but more importantly they will still be “standing.” When looked at from a “money” standpoint, gold and silver will be the last men (monies) standing. Now, going back to the top with my original math, “your share of the historic pile” is 3/4 of one ounce. Do you have this? More? Less? Is it real? Or is it in “receipt” form? Can you see just how rare gold really is or is it just another part of your stuff? Are you dismayed because gold has “gone down?” Why has it dropped in currency terms if it is so rare? To finish I’d like to point out that we live in a world where perception is everything. We live in a world where there is only 3/4 of an ounce of gold for each person who makes it rare but the “perception” is that there are 75 ounces per person…not so rare. 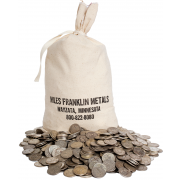 If you can understand that there are 100 paper ounces outstanding for every real ounce in existence then you are not fooled into believing in “plenty” versus “scarce.” Another way to say this is that gold (and silver) are 100 times scarcer than the markets are telling us they are. But why the ruse? 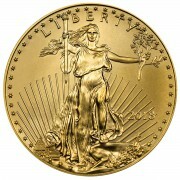 Easy, if gold and silver are 100 times scarcer than the “perception” then take a look at the reverse. Dollars, euros, yen, pounds, rubles, Yuan etc. are 100 times more plentiful than they are perceived. A scary thought huh? Your $1.59 Dunkin Donuts coffee should really be $159! I am sure that I will catch some flak for writing this piece because no one can imagine a $159 cup of coffee or $2,000 silver or $130,000 gold but it is the “direction” that matters as actual numbers can ultimately only be derived by Mother Nature. My whole point to this is that we live in a world that “believes” or “feels” like there are 75 ounces of gold per capita on the planet…when in reality there has been less than one ounce mined per capita since the beginning of time. silver is mined at a ratio of nearly 15-1 over gold so there is definitely more flow. As for stock, I believe there is also more stock of silver but cannot prove it one way or the other. So true, today isn’t that much different than 24 hrs ago, so how can things be so bad? And the stock market is soaring! Those poor fools who bought gold and silver! Looks like they were all wrong. So say some. Fer now (I love that) Silver is $25.00 an oz. Later,$2000.00 an oz Silver= 8000% gain. Sounds good to me! Bill, congrats on the birth of your future PM stackin’ grandson. Keep the common sense coming. he may not become a silver stacker, that is his choice…but he will inherit a silver spoon or two! Bill keep em coming! Thanks! Silver and gold cannot go out of business(so they say),but they can be hoarded to where they become scarce or hard to get. 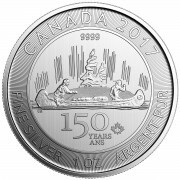 In 2008 when I was trying to get some silver, the silver dealers told me I would have to wait 14-16weeks. They wanted me to send my hard earned money for them to hold while my product would be 4 months down the road. I just asked them if that seem logical to them? They tried to rationalize their answer and that was enough for me. Well, here we are 6yrs later and the stockpiles have been depleted. 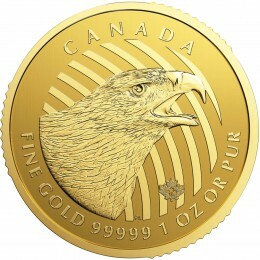 I can guarantee that if the price of gold was to go to $1000.00 and ounce, no one will find one ounce of gold or silver on the market for sale. And if they do, it will be double or even triple the price. This will make it seem that there is a going out of business sale for precious metals and prices will soar even more. I also am noticing many of the healthy food items are also going out of business and the ones which remain are either on sale or the prices gone higher with smaller boxes. BTW I pulled up a 3yr chart of silver and when silver breaks the $20.00 area, the down trend will become support. That is why they are trying to keep it below $20.00. The miners are starting to move again, so be on the look out for that price break. Minor resistance is at $22-23 area and major at $25-26. This is the downtrend from Sept-October 2012 highs of $35.44. Stay the course because you don’t want to stop digging 3ft from gold..LOL!